In previous posts, I've written about the increasing importance of internal capability to business competitiveness. I've also become increasingly interested, and have been talking with a couple of clients about developing the core theme, purpose or differentiator at the centre of this capability (and other approaches to gaining competitive advantage). The report suggests that the Big Idea needs to be embedded, connected (internally and externally), enduring, collective, and measured and managed. However, most Big ideas / BHAGs relate to beating the competition (strategic positioning) or developing new processes / technology (core competencies), not to internal purposes (organisational capability). I think that this is something organizations need to look at, and is becoming increasingly important given increasing focus on self actualisation (clearly demonstrated by the millenials but increasingly by other generations as well) and growing cynicism with big business, both of which are evidenced through an increasing search for meaning (see next post). 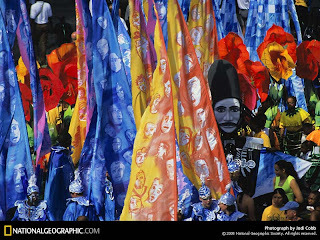 The latest carnival has been posted by Michael Moore on the Pennsylvania Labour and Employment blog. 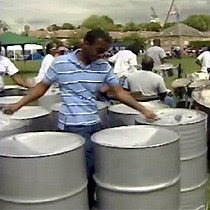 The next carnival will be posted on this blog on 11th June. If you're a blogger on HR related issues, please do send in your contributions, whether you're a regular carnival poster or this would be your first contribution to it. June will also mark my 12th month of usually quite regular posting (really apart from this month, which has been a bit difficult and my apologies for the lack of updates). I would like to mark the whole of June leading up to the blog's first anniversary on 2 July through some special activities. And in particular, following my recent series of posts on web 2.0, I would like to see if I can make June more social. Firstly, I'd like to know what do you want me to post about? You know the sorts of things I’m interested in (if not, see the ‘labels’ in the right hand column of this blog). Or you may want to give me something more unusual to post on. Or you may just have something you’re interested in, and what to see what I make of it. So can I have your suggestions please. Just email me or leave me a comment to this blog. Secondly, I'd like to include a couple of guest bloggers - so again, let me know if you're interested in providing your comments on HCM on this blog. But please don't think that this is because I've run out of ideas! I've got lots of great posts coming in addition to those triggered by you. So keep on reading, or subscribe using one of the buttons ('Subscribe to posts' (using email / reader) or 'subscribe to comments') on the right hand column of this blog. And please do comment on my posts. My favourite presentation at last week's conference was given by Shaunagh Harvey Kelly and Mike Morley Fletcher from E&Y (the slide comes from a different presentation). 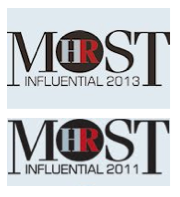 I think risk tends to get forgotten by HR functions (perhaps not within those covered by SOX). 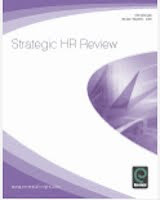 But the risk management approach outlined by the E&Y consultants fits perfectly with the requirements for HCM reporting within the UK's business review and similar reports elsewhere. "Human capital risk, in particular, stands out as an area that respondents find particularly challenging. This risk, which is related to loss of key personnel, skills shortages and succession issues, has consistently been rated as among the most threatening risks that companies face in the two years that this series has been running. As this survey demonstrates, it is also among the most difficult to manage, and few respondents claim that they are effective at dealing with it. These findings point to the need for closer integration between the risk function and the human resources function, as well as a clearer understanding of the risks that companies face with their location and human capital strategies." So I understand Mike Morley Fletcher's disappointment that "typically HR is not there when big risk assessments are done". ... which can then be reported in the Business Review. ie, it's not about avoiding risks ("in business, it takes risks to get a return"), but identifying the potential 'risk universe', understanding them (and their upside as well as downside) and putting in place appropriate actions to assess, measure, monitor and mitigate them. 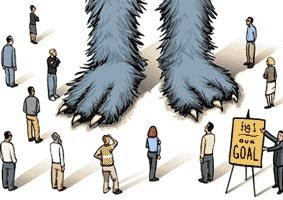 And HR needs to be there when big risk assessments are done, and proactive in pointing out these most threatening of risks to business colleagues who are unlikely to fully understand them. 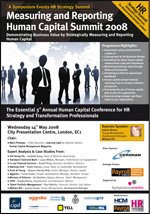 I chaired and presented at this HCM reporting conference last week (on behalf of Learning Light and Human Capital Management magazine). The event was well attended, and with some excellent speakers. I particularly enjoyed presentations from David Povey, Business Excellence Director at Co-operative Financial Services and Laura Wilson at Standard Chartered. And a joint presentation from Ernst & Young on human capital risk - I'm going to come back to this. But I think the delegates' favourite session is likely to have been the knowledge share networking session. This was an opportunity to share each other's experience, insights, challenges and solutions. I sometimes worry about the quality of conversation in these sort of sessions, but at this event there was a high level of energy and from what I heard, some great knowledge sharing too. I think all conferences should include it. Flexible working - more than your job's worth! "If a company actually embraced—rather than merely paid lip service to—the idea that its people are its most important asset, it would treat employees in much the way Google does." "The announcements on temporary agency workers and flexible working put small businesses in an impossible position." There are a number of operational pros and cons that Sainsbury’s HRD Imelda Walsh must have considered in recommending an extension in the right to request flexible working from parents of children aged up to 6 to those with children aged up to 16 (an increase of 4.5 millon workers). "Our research shows that part-time and flexible workers are happier, more engaged with their work, and therefore likely to perform better and be more productive. And in a tight labour market, flexible working is part of the package that can help recruit and retain the talent organisations need to deliver their objectives. It is therefore unsurprising that a great many employers, large and small, go well beyond the legislative minimums and allow employees to work flexibly regardless of their family status." But to me the choice is more strategic and more straight forward too. If companies see their people as human resources then of course they're going to want to maximise the utility of this resource. If they see people as providers of valuable human capital, who invest this capital for as long as they're looked after and provided with an appropriate return, the course of action is just as clear, but completely different. "We remain concerned that businesses who stick to the legislative minimum on the right to request may begin to see the emergence of a divide in the workplace between the flexible working haves and have-nots. The danger with ever larger groups of people entitled to request flexible working, and a smaller number not entitled to do so, is that a sense of unfairness will damage the employment relations climate and business performance." "The issue, of course, is that if the people running companies don’t really understand the basic concept." Perhaps if business managers learn a bit more HR-speak it might help. And it sounds as if some major cultural change is required too. HR Carnival time already! I've only managed one post since the last one which can't be good news. 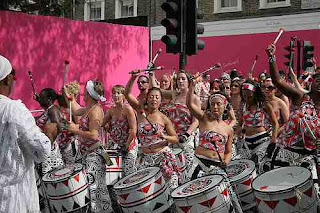 Anyway, do check out carnival 33 on Peggy Andrews' Career Encouragement blog. It's got some good posts although I was disappointed by the first one from 8 hours & a lunch. 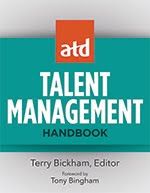 Not that there's anything wrong or poor about the post - Deb's (sorry, deb's) always an entertaining writer and findings like those in the HCI's / Vurv's (shortly to be Taleo's) HR in the age of Talent certainly need to be discussed. But I strongly disagree with her conclusions. So here are mine. Yes, agreed, but let's no stop at just implementing the business plan - we need to shape that too. Well, OK, we need to understand our businesses and be comfortable with Finance, but we need to educate the rest of the business to use the CPO's language too! We shouldn't expect our business colleagues to understand debates around grandfathering or red circling, but they do need to understand how reward influences motivation, and 'engagement' is no more jargon than 'balance sheet'. Sorry, I don't see them. I think this one's a myth. (But note, the early results of my Social Connecting survey suggest that physical connecting activities like parties are likely to be more effective at building social capital that virtual ones using social media tools). I don't think they do, in the main. But they do recognise, which a lot of their business colleagues don't, that they can't be responsible for business results. The missing link is human capital and I think if HR can take more responsibility / accountability for this, then the perspective of the business will start to change. The issues we deal with are often extremely complex in which cause and effect relationships are subtle and tenuous if they exist at all. There are often no right answers. Organisations are not machines. They won't 'change' overnight but they will move as people's shared understanding shifts. And sorry, but this requires talking to each other. Actually, I agree with this. I don't think enough attention is given to Ulrich's employee champion role. It goes back to the point I made above. Yes, HR needs to help their organisations implement strategy through their people, but they also need to make the business aware of the potential of their people, and the value they can add to business results. Harvard Business' Conversation Starter has encouraged HR to paint a new picture of itself. Well the above points and my comments to the Conversation Starter post are the outlines of my painting. I did start off outlining some of my beliefs about HR last year (I've no idea where the time has gone!) and will return to complete these shortly. I've got a bit behind on my business reading but I've been catching up on the Harvard Business Review. I think the most relevant to this blog of all the recent articles I've been reading was April's on Reverse engineering Google's innovation machine. The article reviews some of Google's great human capital management practices which it credits towards the company's success (whilst pointing out that it is impossible to establish whether these practices have led to its success or its success enables these practices). "One clear reason for Google’s success at innovation is that the company does what many others do not: budgets for it in employee time. New ideas at Google are often generated by employees, from the bottom up, in a prescribed system of time allocation. Technical employees are required to spend 80% of their time on the core search and advertising businesses, and 20% on technical projects of their own choosing." "Employees' work structure follows a '70/20/10' model, an arrangement which, Hornsey says, is 'hugely important to anyone who works here'. This refers to a breakdown of the working week: 70 percent of the employee's time should be spent on the business, fulfilling the job role (which, incidentally, is very clearly defined - providing absolute clarity about the job description is essential as 'good people only fail if they do not know their role'). Ten percent of the schedule is time to do 'whatever [the employee] wants' – time for innovation and creativity, freedom to think. Twenty percent of the time – or one day out of every week - she calls 'personal work', a period spent on personal development which will ultimately benefit the company. '[Staff] can work on whatever they want to work on, as long as it's in line with the mission [of Google]. This gives you time to develop'." Twenty percent time / Google time has clearly ben a driver for the success of Google as well as Genentech and 3M but it still hasn't been copied widely elsewhere. OK, it's a fairly different way of doing things but I still find its lack of uptake quite surprising given its impact on business results (eg accounting for 50% of new product / feature launches) and talent management: Google's overall HRD Stacy Sullivan explains that the policy is as important to attracting and retaining employees as it is to sparking fresh ideas: "We hear people asking about it in interviews. It’s a bit selling point. It makes people feel the company values the employees." "Google’s approach to innovation is highly improvisational. Any engineer in the company has a chance to create a new product or feature. That individuals can have such influence has allowed Google not only to attract high-quality employees (including some of the world’s best computer scientists, statisticians, and economists) but also to create a large volume of new ideas and products." 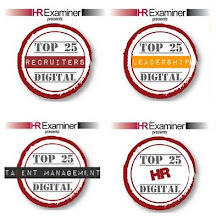 This is a great example of coherence and alignment between strategy, HCM practices and employees: the strategy requires innovative practices which attract talent who enable the company to deepen its focus on innovation. "The emphasis in this process is not on identifying the perfect offering, but rather on creating multiple potentially useful offerings and letting the market decide which are best. Even a modest fraction of Google’s more than 132 million users constitutes a massive test bed and focus group for evaluating the potential of new products." Is this an HCM practice? I think it is because it demonstrates that Google are thinking about accessing the appropriate human capital wherever it exists - and this doesn't have to only be in employees. "Google executives appear to be undeterred by failure. In fact, Schmidt encourages it: “Please fail very quickly—so that you can try again” is how he described his outlook to the Economist. Similarly, Page told Fortune that he had praised an executive who made a several-million-dollar blunder: “‘I’m so glad you made this mistake. Because I want to run a company where we are moving too quickly and doing too much, not being too cautious and doing too little. If we don’t have any of these mistakes, we’re just not taking enough risk.’” Needless to say, that level of risk tolerance is rare in corporations, despite the widespread belief that error and innovation go hand in hand." The article explains that Google takes an analytical, fact-based approach not only to its core business of page-rank algorithms but also to making any change in its web pages and deciding what new services to offer. The article also refers briefly to Google's recruitment processes: "It continually modifies its hiring approach based on an ongoing analysis of which employees perform best and most embody the qualities of 'Googleness'." “The basic approach is quite simple. First, you survey current employees on a variety of characteristics and traits, including teamwork, biographical information, past experiences and accomplishments (i.e., have they started a company, written a book, won a championship, set a record). Next, you statistically determine which of these many traits your top performers and most impactful employees' exhibit that differentiates them from bottom performing and average employees. 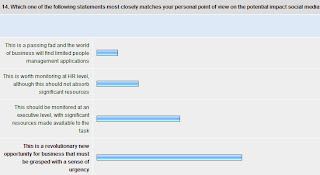 Finally, you develop an online survey to gather the predictive information from applicants. Then each candidate's biodata survey and resumes are screened electronically and given a score between zero and 100 based on how many of the top performance indicators each candidate possesses. (It's important to note that using biodata to screen candidates is not a new process, but is quite rare in companies that hire large numbers of professionals.)" "Another order of analysis involves Google’s use of nearly 300 prediction markets consisting of panels of employees. It uses the panels to assess customer demand for new products (“How many Gmail users will there be on January 1, 2009?”); company and product performance (“When will the first Android phone hit the market?”); competitor performance (“How many iPhones will Apple sell in the first year?”); and some just for fun (“Who will win the World Series?”)." 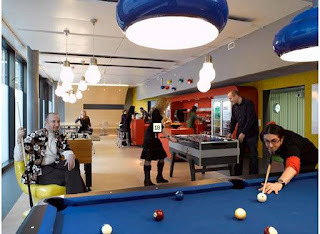 So some great approaches supported, as the article notes, but a great culture, that even without the pool tables must make Google a truly great place to work - and no wonder they're so successful. I'd argue that companies should aim for the same degree of sophistication, but perhaps different practices may be appropriate (it's all about getting the alignment between strategy, practices and people). But any company can develop these sophisticated approaches. As Google's Sullivan explain, they make sense for all workers, ranging from retail clerks to midlevel managers to top executives: "It could be anyone - just give them an opportunity to make a difference to your organisation". So why aren't you doing them? Check out the carnival at the Maximize Possibility blog. One post of note is Taleo's sumary of the global update to BCG's HR survey. "Two companies that have taken the practice of hiring back retirees are Procter & Gamble and Eli Lilly. Faced with the prospect of losing large numbers of Baby Boomer researchers, the two companies joined forces in 2003 and launched YourEncore, which created a pool of former emplooyees and other experts whom each could call on for temporary help." "We are hard-wired to treat good-looking people better and it’s pretty much impossible to overcome this tendency. Patzer shows that this salary discrepancy is true even in law firms, where the partners doing the hiring are acutely aware of how illegal it is to favor good-looking people. Researchers at University of Texas, found that even mothers treat good-looking children better than average-looking ones. Before you complain about how unfair all this is, Patzer shows that good-looking people are actually better for the company’s bottom line. This is because highly attractive people actually earn more money for a company than average looking people. One study in Holland, for example, showed that companies with better looking management consistently billed more hours at higher rates than companies with average looking management." My facestat results suggest I may need to take some notice! 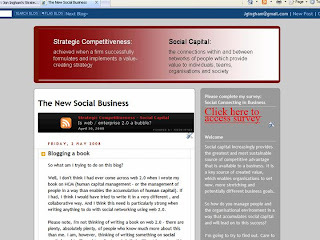 I hope you've found my latest series of posts on web and enterprise 2.0 interesting. I'll be returning to some other themes shortly. One reason I wanted to focus on this area for a while is that I've been starting to think about my next book, which ever since finishing the last one (on human capital), I've wanted to focus on social capital. There are a lot of areas I feel I need to learn more about (and get more experience in) in order to do this - one of which is social media. But there are a lot of other areas too. And I'm hoping to get plenty of input to support my learning. So I've set up a separate blog to focus on this area. I've called this blog 'The New Social Business'. I don’t want to use the ‘2.0’ tag, because I think being a social business involves much more than just the use of social media (and doesn’t actually need to involve the use of social media at all). It's still not an ideal term of course because many people take 'social' simply to mean the opposite of work. I use it in its more formal, scientific context to refer to human society and its organisation, including the relationships between people. And I've had to add 'new' to the term 'social business' because social business or social enterprise is typically taken to refer to organisations focusing on social benefit rather than organised in a social way. 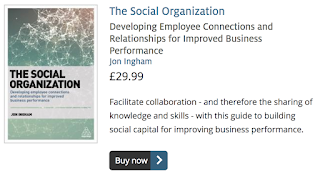 So if you have been interested in my posts on enterprise 2.0, please also check out this new blog, join the community and contribute towards what I am sure will be an important new book on the effective management of people for organisational success. Oh, and it would be great if you could take my social connecting survey too.